A deep dive into school security. 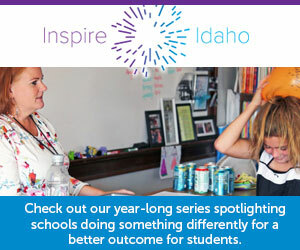 On “Idaho Reports,” Seth Ogilvie and Devon Downey take an in-depth look into Idaho’s school safety plans. Their findings go beyond some numbers that have already been in the public domain — namely, the fact that barely a quarter of Idaho’s public schools have a school resource officer on campus. Ogilvie and Downey found that, in many cases, the SROs on staff haven’t received the basic training for their job, as offered by the Idaho Peace Officers Standards and Training program. Ogilvie sits down with Melba district Superintendent Andy Grover for a perspective on school safety in rural Idaho. I’m on the pundits segment with Ogilvie, Betsy Russell of the Idaho Press and retired state Supreme Court Justice Jim Jones; we talk about school safety and the bill to rewrite Idaho’s school funding formula. Speaking of the funding formula … I sat down with Michelle Edmonds of 6 On Your Side to talk about the high-stakes funding formula rewrite. It’s a bit dated, because we taped our segment Wednesday, a day before a draft of the bill went public. But it’s an overview of what’s at stake for some schools that stand to lose money under the formula shift.